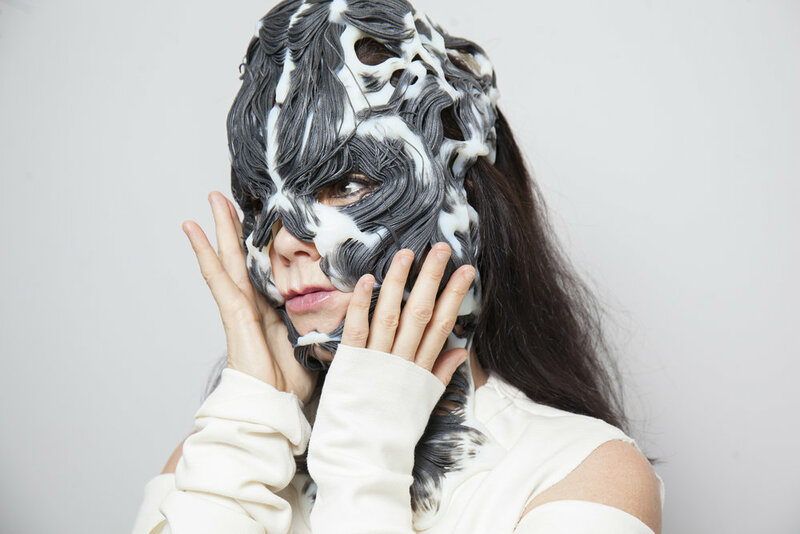 Designed and customized for Icelandic singer-songwriter, Björk, as part of a collaboration with Stratasys, the 3D printed mask was worn by singer during the opening performance of the Tokyo leg of her ‘BJÖRK DIGITAL’ event series. Entitled ‘Rottlace’, a variation of the Icelandic term for ‘skinless’, the 3D printed mask reflects the complex human musculoskeletal system, based on 3D scans of Björk’s own facial structure. Using Stratasys multi-material 3D printing, Oxman and Mediated Matter were able to mimic the elaborate combinations of contrasting materials found in the face, such as the soft tissue, muscle and rigid bone structure – all within a single print. The unique capabilities of this technology to recreate complex geometries with varied material properties allowed the mask to retain a unique flexibility and freedom of movement that would be integral to Björk’s performance. With a clear focus on technological innovation, Björk performed the single ‘Quicksand’ from her latest album to a backdrop of high-resolution images of the earth, along with an impressive sequence of light projections mapped onto the 3D printed mask.